A fantastic motivational wall sticker for all those who struggle to feel their best at certain times. This wall text sticker always reminds them of their core values, so whenever life gets difficult, you have this monocolour wall sticker to rely on. 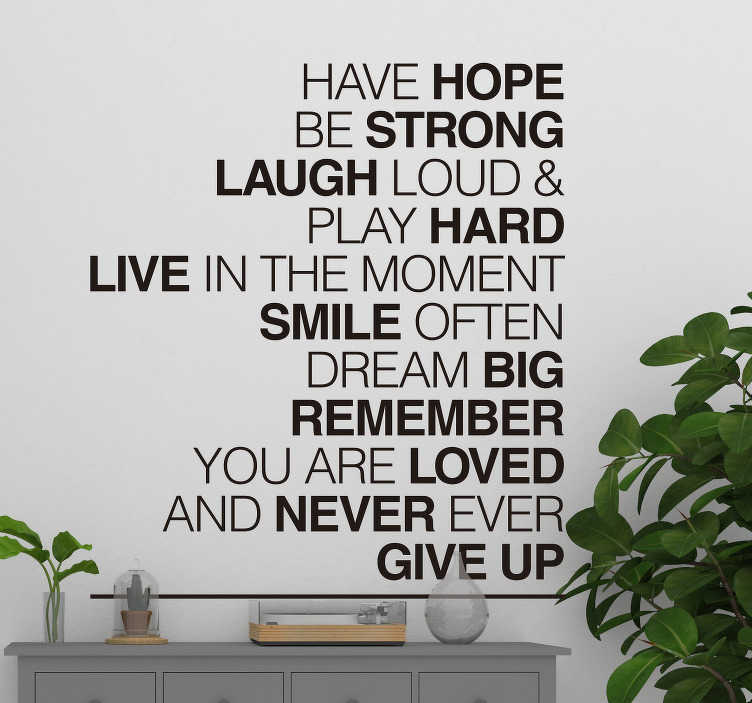 In order, the text is reminding you to have hope, be strong, laugh loud and play hard, live in the moment, smile often, dream big, remember you are loved and never ever give up! We think that covers everything! Text can be added or changed on request. Email info.ae@tenstickers.com for more.